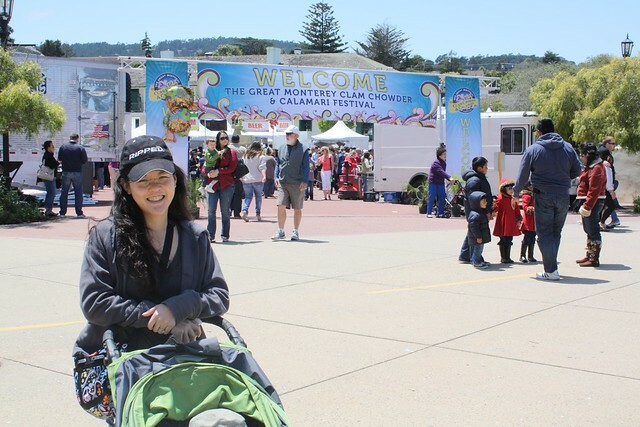 This weekend we decided to check out the first annual Monterey Clam Chowder and Calamari Festival at Fishermans Wharf. Schipper Design (Rita) designed the logo/artwork/posters for the event. When we got there the parking lot was really full, took a bit to find a spot. We realized upon entering that they were having patrons buy tokens to get food/stuff at the booth. Booo to that, we thought. OK so we gotta stand in one long line to get tokens, buy X amount of tokens, not knowing exactly how much you’ll really use, then we have to stand in the booth line to get the actual chowder, another line for another type of food, etc. So what did we do? We walked to our favorite Greek food place and ordered gyros! Yum! 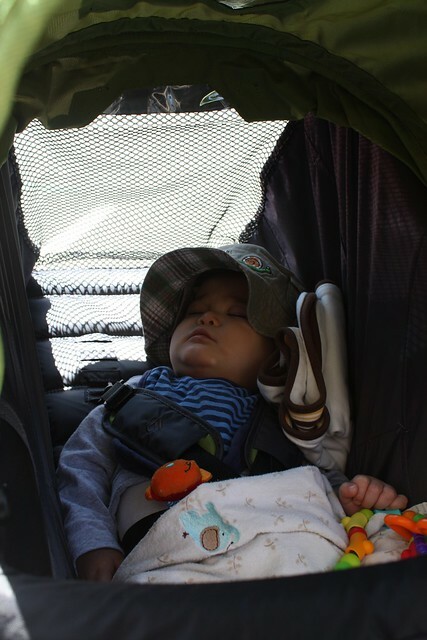 By the time we got there, Vinny was fast asleep! Which worked out because then Jeff and I could eat in peace. Haha. While sitting and eating out in the sidewalk area, we ran into Anthony and his family, said hi, talked about the festival for a bit. 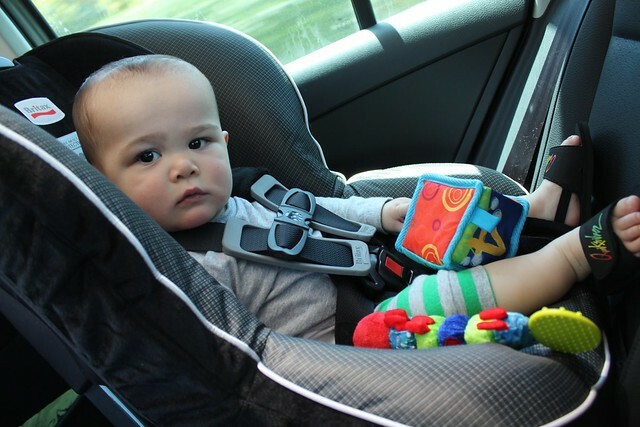 Last weekend Jeff installed our big Britax convertible car seats. I guess Jeff’s car has too much a slant on the backseat, so Vincent is leaning too far forward making it uncomfortable for him. He really did not like riding in it. He kind of screams and pushes his feet out of it. As soon as we can turn him around to be forward facing, we plan on doing so to hopefully make it more comfortable. * Check out Vinny’s slippahs from is Aunt and Uncle in Hawaii!! « Vincent is Now 10 Months Old!